While trying to sell my Honda Civic someone came in the night to the driveway where it sat and took a few items (radiator and fan assembly, two front corner markers/lamps, and the fuse box under the dash has its cover stolen, the Main Relay taken and another plug with 4 prongs next to it was taken. I have a Haynes manual and I think it says my car has a hazard, turn signal relay under the dash by the wall of the drivers side. It would make sense that was it. But I'm ;not sure. What I was sure was the main relay was one of the plugs. So I bought one and put it on. But when I turned the key it was cold silent. No electric lights, no nothing. My only thought was something else was unplugged or removed. I could check the ECU to be sure it was still there, but don't know where to look. Could the lose wire I have still hanging be needed to connect somewhere and that's why my car is not electrically connecting? Would it be on the ECU could have been stolen? Where would I look? I feel totally at a loss and have no where to turn. Please help if you can. I'm not a mechanic and this event has caused me much grief and stress. I'm out in the country and there are no mechanics near me who know much about Hondas. Can you take some pictures and post them? Yes the battery is intact. I took the main relay and plugged it in without attaching the metal hanging hook. Someone suggested maybe I needed to properly install the main relay because the metal could have been a ground. The metal piece goes on the back and then it's hung up to a spot behind the dash by bolting it. But I figured that's just to get it out of the way and somewhat hidden from would be thieves So I just plugged it in and hung it. I don't know where the ECU is located so I can't check to see if that too was stolen. So I looked on the passengers side by the wall under the dash and I noticed when I pulled the material back that there was a hanging blue plug. If the ECU was there they may have taken it. I've attached a photo for that as well. Let me know what other images you need and I will try to supply them.. Someone who is more electrically inclined then I am is coming over and is bringing a meter. I opened your image and took a screen shot which I will show him and ask him to check it. Is there anything else he needs to check too while he is here? I can pass your advice on to him and then get back to you with the results. I read somewhere that most Honda Civic ECUs are on the right passenger side along the wall under the dash. That little blue plug is either missing something or it needs to be attached to something. But it's very small and may not have anything to do with the ECU. The ECU may be still hidden in the material behind that plug. I need to learn where it's located on a 1960 Civic DX hatchback. Can you help me with that?I'm worried it was stolen and I want to set my eyes on it. Gogling that hasn't brought me any clear answers. JUST TO DO A LITTLE TEENY TINY BUTTING IN. THE SMALLER PLACES ARE BEST----I HAVE SAT IN THE WALMART PARKING LOT, LIKE FOREVER, WAITING ON SOME "COMPULSIVE BUYING DISORDER" FELLER TO RETURN TO HIS TAHOE, SO I COULD SEE HOW SOME STUFF WENT BACK TOGETHER THAT MY BROTHER-IN-LAW SCREWED UP ON MY SISTER'S RIG. BUT IT WAS WORTH THE WAIT! WHILE ON YOUR RECON MISSION---FOOD, WATER, AND ROTTWEILER SHOULD BE PLACED IN THE "DONOR CAR"
The 1990 Honda Civic DX is apparently pretty rare and sought after because its engine is enduring and it's gas mileage is in the 40s, and it looks like a little hot rod. People have called me from out of state to come see this car. Someone from another state wanted it so he can fix it up to race with. People steal things from this car, something I never would have thought possible and made me feel my car was the one stalked, but for the wrong reason. "Stalking" someone with a Honda Civic DX like mine is not only impractical, but would suggest I don't have a real life. I don't have the time to sit in a Walmart waiting for some guy to drive in with a car like mine so I can get a few pictures. I live in the country and I'll be lucky to see one for years, especially out here if I did something like that. And I'd lose my job and my house trying. I hope you are not one of the experts, because your suggestion is not helpful in my situation. I FOUND THE ECU! ! It was under the dash in the passenger's feet area and against the firewall that's between the foot space and the engine. It's bolted inside a cover. But no wires are attached to it. Do you want a picture? Btw, its in the same area as the blue little hanging plug. I doubt it was taken as the bolts are still on it and I'm guessing the haste with which thieves like to do things, it would have likely been removed with the ECU. Also, please tell me more about what those two wires on the left side of the fuse box go to so we can consider what's wrong if the test fails. I will be with a potential buyer at 9 am this morning (Sunday). He's the guy bringing a meter to test the car and go over it and he's trying to help me out. He's not a professional so I can only hope whatever is wrong is obvious. I will keep an eye on this post. But if you can't respond due to other things, in your life today, I understand. I'm hoping just an answer to that question will be all we need. The blue little plug is attachecd to nothing. It is the Service Check Connector uses for engine diagnostics. Have you tested the power supply to the ignition switch? Has battery been tested? I take that back, you was helpful. Your story about the Rottweiler, food and water left for the donor car and your description of the folks who go to Walmart made me laugh, which I needed. I got a good chuckle fro your suggestion and I appreciate your humor. PSS Ever take a picture from a contorted twisted angle under the dash of a tiny Honda DX? The pictures don't always turn out useful unless some knows a Honda real well... Even then. But iIf you succeeded in doing that, please tell me how you did it. Now THAT would be helpful. The battery is good last time I checked. The power to the ignition was good also, so if its not good now then something may have been unplugged. The state of the car before the theft was that it was able to turn over, even rumble but not start. The alternator seemed to be froze up or it's possible it wasn't getting gas. Perhaps the main relay was starting to go out. That was why I was so hopeful when they took it and I needed to replace it. But even with the new relay, after the theft, there are no instrument panel lights like check engine, oil, battery ect. I turn the key and there is nothing. So the Main relay must not be communicating with the ECU right? Or is there something else we need to consider? Did my photo of the hanging plug under the dash on the driver's side give a clue? Its the only otherr hanging plug I keep having the feeling something needs to be installed or plugged up. Something that they did when they went under the dash and took my main relay and whatever was in that hanging plug on the drivers side. Any other photos that might be helpful? I'm willing to try it again. I can go further up maybe. Or take pictures of the engine near the firewall. I replied to your questions but it didn't show when I hit send. So if this is a duplicate and it showed up on your end you know why. The battery to the car was fine and so was the ignition before the theft. It would turn over and almost start. Questions around that issue was the froze up distributor or gas getting to the fuel pump. But everything else seemed fine. Since the theft, when I turn the key there are NO PANEL LIGHTS. No check engine, oil ect lights and no sound of the car, nothing. The main relay may not be connecting to the ECU? I'll have Josh check the ignition. I keep having the feeling that there is something that needs to be plugged in or connected. Does the plug on the drivers side help any? What could be missing there that would not allow the dash lights to come on? Do you ;need any photos from under the dash again? I'm willing to try. I'm a small person. Or do you need Photos of the engine along the firewall? Things known to be stolen: Radiator and cooling fan, amber side markers in the front (made of glass too... Sigh), main relay and an unknown smaller relay for a four prong plug in, possible the turn/hazard light relay if there is such a thing. The rest is not known yet. He's coming over at 9 am CST. That's about a half hour from now, but I will break off from what he's doing and check for posts. Okay, my message went to the next page (now this page). So I didn't see it on page one, just a blank message box and I thought it didn't sent. Now I've repeated myself. My apologies. I'm new to this website. It has been a long time since I last checked under this vehicle and where I am, well the driver sits on the right hand side of vehicle so the wiring or my understanding could be reversed and when I say right, be prepared for left, lol. The white connector in 2nd picture is a typical connector of a relay but Honda don't have too many relays underdash and that could be the starter relay. You need to plug in a relay but this is not going to make the dashlights comes on when the ignition switch is turned on. There is power missing and in fisrt diagram, there is a fuse box on right of picture. Ensure the 2 metal strips (main fuses) are not broken and has battery voltage to them. You ned a test light or DVOM to test this. Test the horn, brake lights and headlights to see if they are working. At ignition switch, ensure you have battery voltage to the White and White/Black wire. The main fuses supplies power to these two terminals. Btw the 2 connectors shown in last diagram is plugged into the fuse box as shown in your 2nd picture and ensure they are plugged in. You need to test with them plugged in or from the fuse box terminals. Wow! Okay, 60 am is for battery. I took a picture of the fuse box cover and Josh opened it up to test and guess what, no fuses! They were all taken out. Who knows what else we'll find. We're going to the parts store with a list. Will get back to you soon. One quick question. I put the main fuse on without the metal piece to bolt it up with. Josh thought it might add to the grounding of the Main Relay (he thought this before he checked the fuse box). Is there any thing about that or its that piece merely functional to put the fuse up? I intend to do that anyway, but jsut wanted to test the car first. Thanks for helping a clueless gal out. I never opened that box, too busy looking under the dash. Sorry you lost me there. I am not sure what metal piece you are refering to and maybe a picture is required. KHLow2008, In my first or second email on page 1, I uploaded a picture of the main relay. I'll upload it again for your convenience. Here is an update. We got fuses for the battery (60 A), the ECU (15A) and the Ignition(50A). The amp for the ignition was a fusible link type and they were in a package of 45, 55, 65A. We found out the silver fusible links we bought were not what was in this guys car that pulled up. His had the type that looked like there was a little container resting on a copper link. So we had proper fuses for 2 of the 3 we wanted to put fuses in for and the 50A ignition we were told to put in the 45A because it was safer and was only temporary to test the car. We put the fuses in and we got dash lights and the beeping sound. Two lights were not coming on, possibly the headlights which we didn't put in and maybe one other. But silence on the car turning over. Josh said the battery was low and he also said he thought we could play with the locked up alternator. Before the theft, the car cranked but wouldn't start. Someone noticed the alternator would not turn, only it's belt. So he wants to play with that tonight, and he wants to recharge the battery. It's real low he says. Still, I don't believe it wouldn't even try to turn over even weakly. No sound. Can a battery be that dead when it wasn't before the theft? (The theft was about a week ago). Could the missing relay be a starter relay? Any thoughts on this? Josh had to leave. He won't be back til tonight. Banging on the alternator may work, so may charging the battery, but I just have a feeling we're missing one more piece to this puzzle. Will check in for responses. Thanks for the relay pix KHLow2008. Is the starter relay on a DX in the same place and the starter relay in the EX? If not can anyone help me find a pic of the starter relay on a DX? The placement of that starter relay is very much like the place of the one wire that's hanging. Someone might have pulled the starter relay and that's why the car won't turn over... Any thoughts? Starter relay are common relays that are interchangeable for all models so no problem with that. Yes, try plugging in the relay to the 4 terminal connector as shown in your second diagram, the one above the PGM-FI main relay. The PGM-FI main relay bracket is not a grounding point for it. It is only for securing the component. A failing battery can self drain in a week and you had been cranking previously without starting, that could have partially drained the battery too. The alternator would only work when the engine is running so don't bank on it to charge the battery for now. 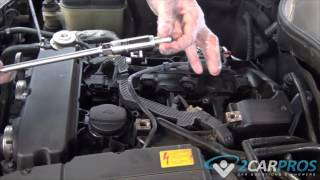 At the starter motor, apply battery voltage to the solenoid terminal to test if the engine cranks. My Compressor Is Not Working With A Full Charge Where Is The Fuse?